CrossOver and Wine have long been famous for helping Windows software run on Linux, and now they're coming to Android. Android devices will soon be able to run Windows applications thanks to CodeWeavers’ CrossOver for Android, which will debut before the end of 2015. Wine for Android was first shown off a few years ago, and work has been ongoing since then. You can run Android apps on Windows, and soon the reverse will be true, too! What are CodeWeavers and Wine? CodeWeavers is a company that makes a commercial compatibility layer, allowing Windows applications to run on Linux and Mac OS X. It also helps developers port Windows games and other applications to Mac and Linux, packaging them with a compatibility layer so they’ll just work. Underlying it all is the open-source Wine project, which CodeWeavers helps fund the development of. Wine is an open-source compatibility layer that aims to re-implement the Windows API and allow Windows applications to function on non-Windows operating systems. Android is about to join these applications. CodeWeavers have announced a free tech preview of “CrossOver for Android” will be available before the end of the year, and you can sign up to be notified when it’s released. These patches will also be published to the Wine open-source project, and other builds of Wine for Android should be available shortly thereafter. There are some catches, however. CrossOver and Wine for Android will only work on Android x86—Android systems with Intel or AMD processors. Typical Android systems, with ARM processors, won’t work. That’s because all the Windows binaries out there in the wild are x86 or x64 applications. Windows RT never allowed desktop applications, so there aren’t desktop programs available for Windows on ARM. CrossOver or Wine would have to contain a virtual machine to allow Windows x86 applications to run on ARM chips. This is the same reason you can’t install Wine and expect Windows applications to work when using Linux on an ARM-based Chromebook, by the way. There are other more obvious concerns, too. Most Windows applications won’t work too well with a touch screen and virtual keyboard, as they’re made for a keyboard and mouse. But there are Android laptops and even desktop PCs out there. 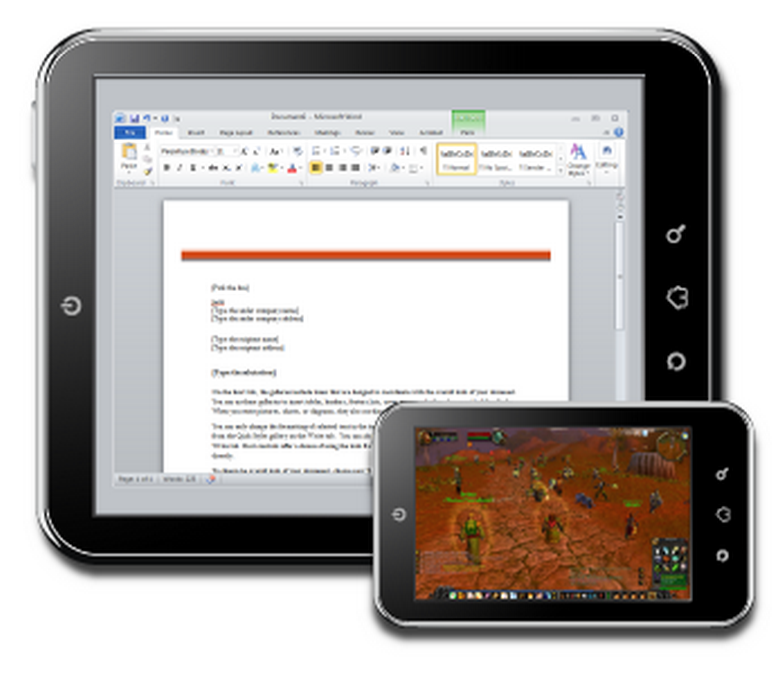 If nothing else, this could be a reason to pick an Intel-based Android tablet. CodeWeavers is also still working on DirectX 11 support for Wine, which would allow many more Windows games to function on Linux and Mac OS X.